How do you deal with a critical remark or comment? Do you walk away and forget about it or do you mull it over in your mind causing sleepless nights and a roller coaster of emotions? I have to admit that in the past I was a “muller”. 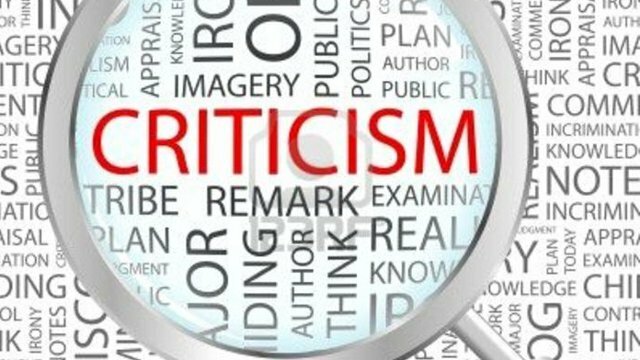 I used to let criticism take charge of my thoughts for days, but I am learning in this area. Of course, when God wants to teach me a life lesson, He often gives me the opportunity to learn over and over until I get it. You guessed it…I have had plenty of negative comments thrown my way, but I am pleased to say, with God’s help, I am learning in this area of my life. Recently, however, someone on our leadership team at church made some very disparaging remarks about a talk I had given. I really look up to her so I was shocked and deeply hurt! I was totally blind-sighted and stunned. Luckily it was just the two of us so I could get away without enduring the looks of the rest of the team. I held my tongue and did not try to defend myself, but I felt like a first grader who had been called to the principle’s office. I couldn’t get away fast enough. As I got in the car, the tears started to roll. I was so hurt by her comments. I started praying in the car that God would show me what to do with my emotions and how I should respond over the next few days as I wrestled with a tidal wave of feelings. I tried hard to put the stinging words out of my head to no avail. While I don’t believe in rehearsing the bad that happens to us over and over, I felt strongly that this time I needed to call a prayer warrior and my two mentors. I needed a fresh perspective from people who know me, love me and have my back. I felt so validated after spending time in prayer with them. God knew that I needed to replace my feeling of being “beaten down” with the confidence that comes from Him. With God’s help I analyzed the comment and thought about who was making it. What was going on in her life that may have made her words more critical than she intended? I realized that I needed to forgive her. I was reminded of another Scripture. Joyce Meyer always says that we need to “leave an offense.” I often think of a table with offenses on it. I can choose to linger, play with it, look at it, turn it over and over and make myself even more miserable. I finally made the conscious decision to walk away and not look back. I had a boss who used to say “take the meat and leave the bones.” What was the meat in her comments that I could learn from? One of my mentors said “what was your motive behind your words?” Ouch…now I was getting down to the heart of the matter. With God’s help I realized that my main motive was to encourage the young women to read their Bibles more, but my “people pleasing” personality also may have wanted to impress. My “motive of the heart” may not have been as pure as I thought it was! I feel that I am on the other side of this healing process now. I certainly don’t want this lesson again, but I also know that here on this earth, people will offend me. How will I handle it? What will my reaction be? Hopefully I can apply the lessons I have learned and be better equipped, with God’s help, to walk away in forgiveness and love!